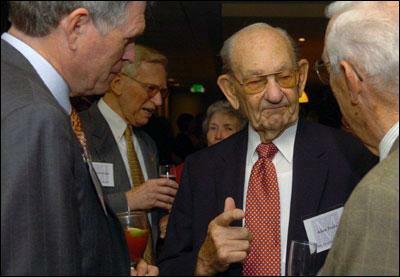 Allan Purdy was initiated into Alpha Gamma Rho in 1951. He helped many Theta brothers with financial aid during this college days at Mizzou. If you would like to make a contribution to this scholarship fund, you can make a gift. For the fund, specify Allan W. and Vivian C. Purdy Enhancement Fund. Allan Purdy, who dedicated his life to removing financial barriers to higher education, died Oct. 14, 2010 after suffering a stroke. He was 96. "With the passing of Allan Purdy, the financial aid community and students lose an irreplaceable advocate for college access and success," said National Association of Student Financial Aid Administration President Justin Draeger. "Purdy was a pioneer who helped create a true community of advocates dedicated to helping students achieve their higher education goals. NASFAA is just one part of Purdy's legacy and we will continue to work toward his goal of providing equal opportunity for all students." 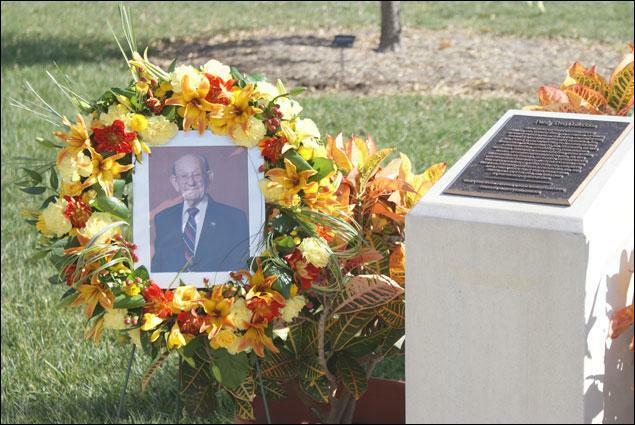 Purdy worked as director of scholarships and student financial aid for the University of Missouri for 21 years. He is credited with creating that office, a task given him by MU President Elmer Ellis in 1957. In 1982, Gov. Kit Bond called on Purdy to help students from across the state obtain student loans. Purdy also helped create the Missouri Higher Education Loan Authority, spending 20 years on its board of directors, and the first regional financial aid association, the Midwest Association of Student Financial Aid Administrators. Purdy was the founding president of the National Association of Student Financial Aid Administrators and helped create the Missouri Higher Education Loan Authority, spending 20 years on MOHELA's board of directors. Purdy is survived by his wife, Vivian, and their four children, Robert, George, Ray and Christina, and their families. Purdy was born in rural Macon County in 1914. Active in 4-H and Future Farmers of America, he graduated from Macon High School, and then farmed for a year with his father. In 1938, he earned a bachelor's degree in horticulture from the MU College of Agriculture, now the College of Agriculture, Food and Natural Resources. 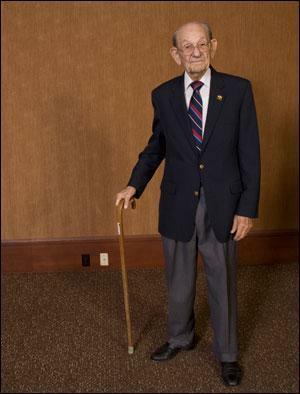 He received his master's degree the next year, then joined the Navy, where he served as a PT boat captain during World War II. He returned to MU as an extension horticulturist. Purdy quickly became an advocate for the agricultural school's efforts to provide scholarships for more students. The MU Ag Alumni Association's Allan Purdy Distinguished Service Award was named in Purdy's honor. A memorial wreath was placed near the Purdy Tree Collection in front of the Bond Life Sciences Building.